A Blog On Food, Travel, Books And Lifestyle! 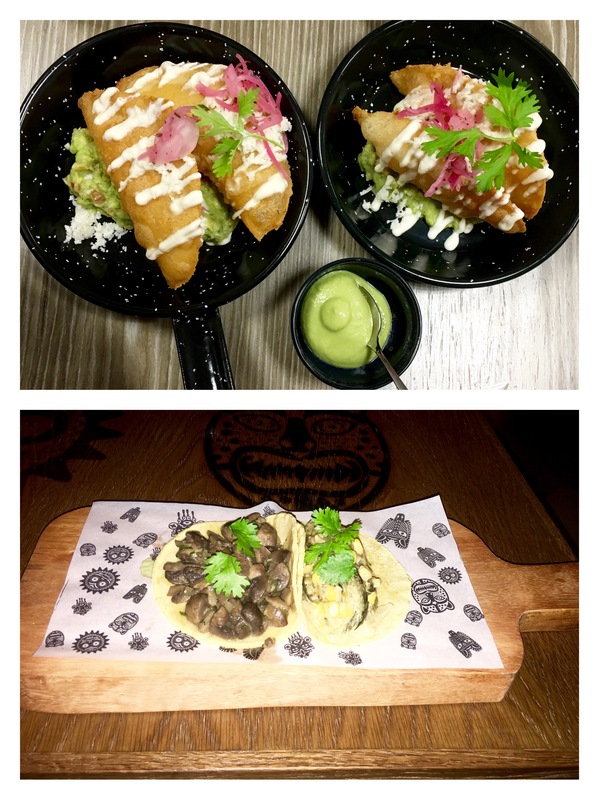 La Tablita, Mexican Restaurant and Taco Shop is the latest addition to the dining scene in Dubai. It serves authentic Mexican food. La Tablita is located in the lobby level of Hyatt Regency Dubai Creek Heights. I was invited for the pre launch of La Tablita. 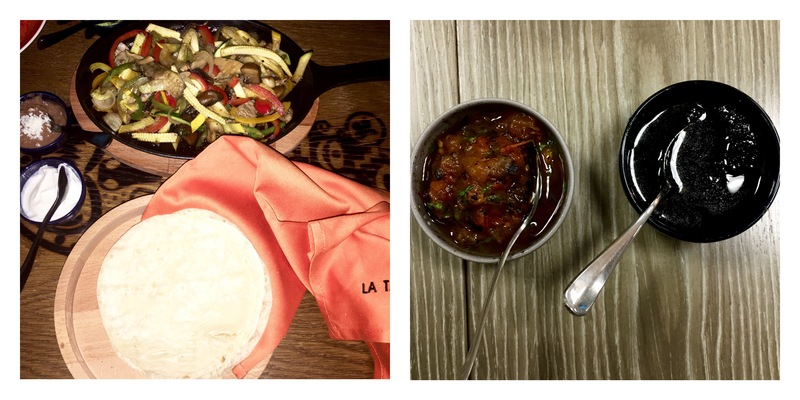 What can you expect from La Tablita? Authentic and traditional Mexican food presented in a contemporary style. You are bound to be impressed with the lively Taco Shop experience. The culinary and service staff is made of native Mexicans. Most of their ingredients are sourced from Mexico. A little slice of Mexico right here in Dubai. The first thing that I asked the staff was the meaning of Tablita. It means a small plank of wood. You can expect to be served in tablitas or plates made from Eco-friendly wooden material. The ambience of La Tablita is rustic, energetic, friendly and vibrant. 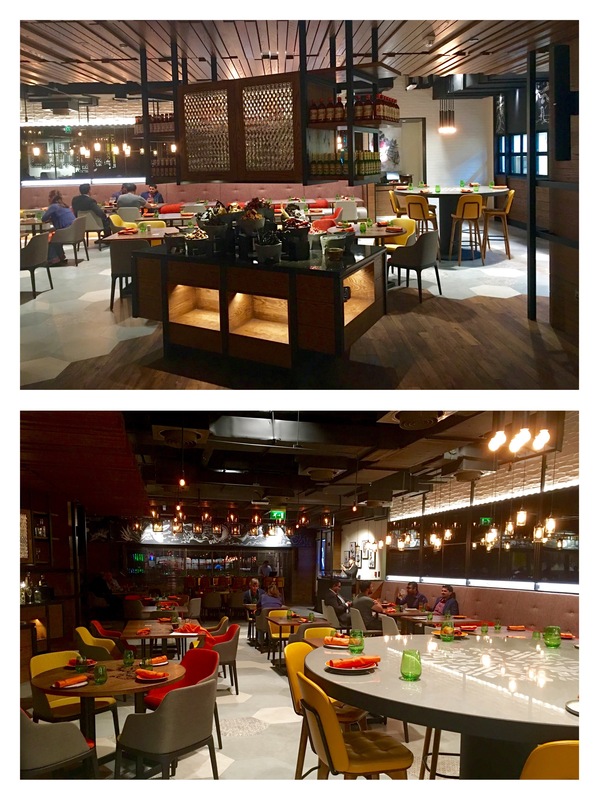 The restaurant is spacious, they have a bar, DJ booth and an open kitchen. They have an impressive collection of artwork on the walls. I especially loved the Mexican inspired murals. You can expect a complete Mexican experience whether it is the food, the atmosphere, the music or the interiors. La Tablita is the brainchild of award winning chef Carlos Hannon and alongside him, his protégé Chef de Cuisine Daniel Hurtado is helming the restaurant. The menu consists of all the Mexican favorites like tacos, ceviches, empanadas, guacamole, la parilla etc. They use only the freshest and high quality ingredients in their food and drinks. The drink list is amazing. A definite must-try are the margaritas, mojitos, tequila and Mexican beer. La Tablita has a certified Master Tequilier who will craft the most exquisite tequilas: a first time for any Dubai restaurant. Amazing isn’t it ! They also serve Mocktails. 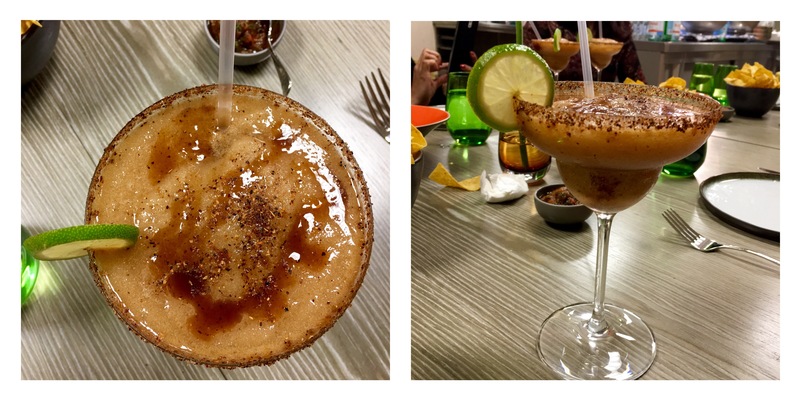 I tried the Classic margarita and the Tamarind margarita, definitely One of the best margaritas in Dubai. I started the dinner with soup and then appetizers, main course and desserts. Sopa de Tortilla- Strips of crunchy,fried tortillas were added to this soup. Though feta cheese is not a traditional ingredient, it added a zing to the soup. 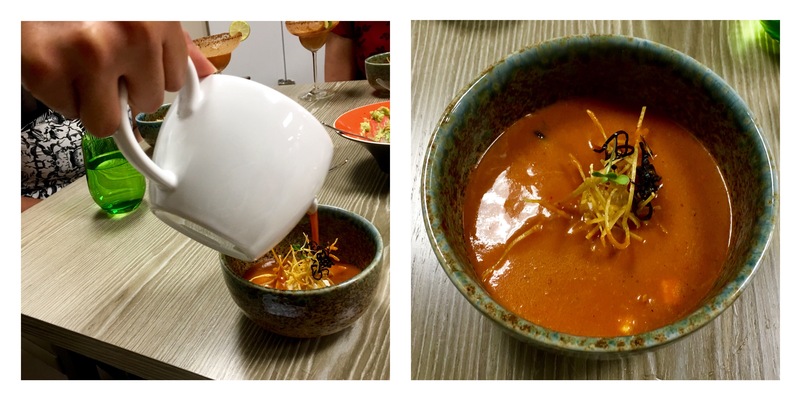 Generally I don’t like Tortilla soup as it tends to be too tangy. But the soup here is good. The soup was hearty and flavorful. Guacamole with chips- The avacados are sourced from Mexico. It was perfectly mashed and blended with the other ingredients. The guacamole went well with the freshly made chips. Empanada de Queso- These delicious empanadas had a cheese filling. Though it was deep fried it was not heavy. Loved the way it was presented. Tacos- I tried two kinds of taco- veggie and mushroom. I loved the veggie taco the most. The filling is very tasty and I am sure even the meat lovers will love these terrific tacos. Fajita- Sautéed and grilled veggies that were crisp and crunchy came in a pan along with soft warm flour tortillas in a wooden box. I had it with the sour cream, refried beans and guacamole. It was a wholesome meal. I liked the zesty flavor in the veggies. 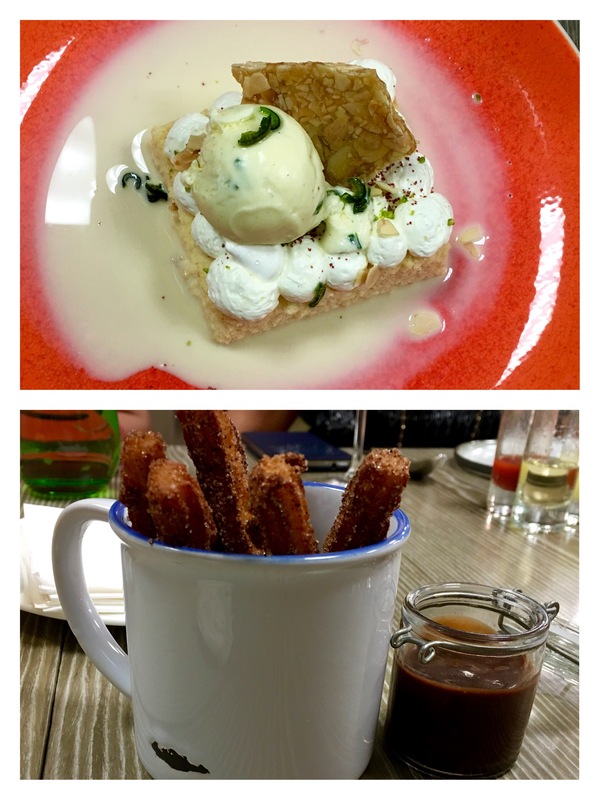 As for desserts I had Tres Leches with jalapeño ice cream and Churros with chocolate dip. Tres Leches- It is a sponge cake with three layers. Each layer was rich, soft and creamy. The combination of the cake and the jalapeño ice cream was excellent. Churros- The Churros at La Tablita are the best. Don’t even think of leaving the place without having those fantastic Churros. Dip them generously in the homemade chocolate dip that comes in a cute jar. I liked the way they presented the Churros in a mug. I liked the fact that La Tablita also caters to vegetarians. They offer a great variety to meat and seafood lovers. The service is exemplary. The staff is knowledgeable, helpful, welcoming and friendly. Dining in La Tablita was pure joy. 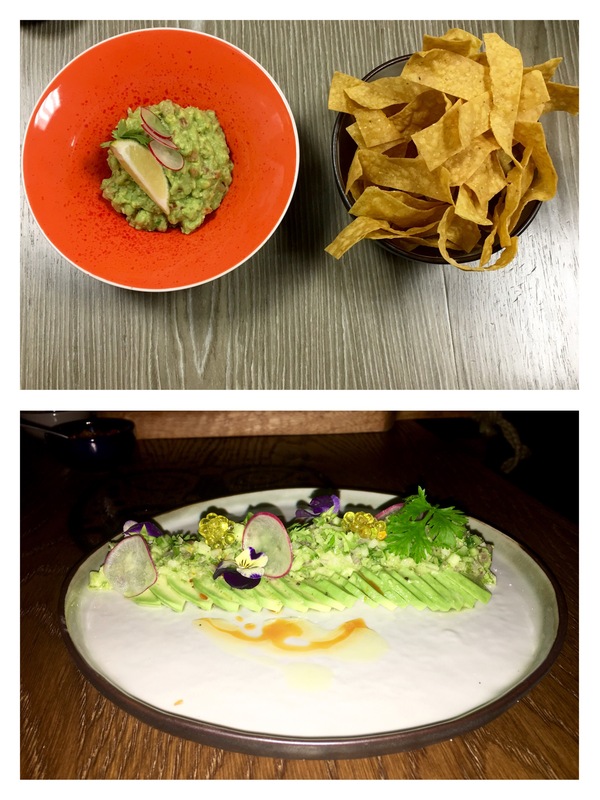 Go on a Mexican culinary journey in Dubai thru La Tablita.